Hamburg - Hamburger SV ended their winter preparations on a high note on Saturday, clinching an emphatic 4-2 win over Swiss champions FC Basel 1893. The Red Shorts enjoyed phases of superb combination play, demonstrating a fluidity to their game that was rarely witnessed during the first half of the 2013/14 Bundesliga campaign. The man at the heart of it all: Hakan Calhanoglu. Speaking exclusively to bundesliga.com after the game, the Turkish international discussed HSV’s pre-winter problems, the loss of Maximilian Beister, the new faces in camp and his personal targets for the Rückrunde. bundesliga.com: Mr. Calhanoglu, congratulations on a fantastic 4-2 win over FC Basel 1983. Was that the perfect way to prepare for the second half of the season? 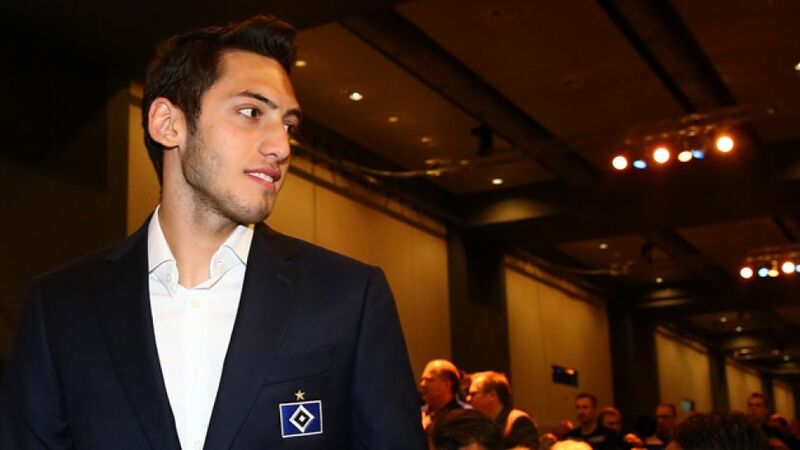 Hakan Calhanoglu: We knew that Basel would prove to be a difficult opponent. It’s no accident that they’ve become regulars in the UEFA Champions League, but we put in a really strong performance using a new system. I’m hoping that we can maintain our good form ahead of the start of the second half of the season. bundesliga.com: HSV were firing on all cylinders up front, but at the back some of the issues from the first half of the season, in which you conceded 38 goals, reared their ugly head. What areas do you most need to improve on as a team? Calhanoglu: The fact we conceded so many goals went hand in hand with the fact that we were prone to losing our concentration. We actually boast a lot of quality both in attack and at the back. Our preparations have run really smoothly though and as a result we’re hoping to be able to pick up a win in front of our home support on Sunday. bundesliga.com: Talking to bundesliga.com before the winter break, Milan Badelj said that Bert van Marwijk would "certainly have a few ideas" for the training camp. Was that the case? Calhanoglu: Definitely. Bert van Marwijk worked incredibly intensively with us, especially when it came to the system in which we play. You saw the result of that work against Basel. Most importantly, the coach has filled us all with self-confidence. bundesliga.com: Unfortunately for the club, Maximilian Beister suffered a long-term knee injury. The club reacted by bringing in both Ouasim Buoy and Ola John. How has that worked out so far? Calhanoglu: The injury to Maxi naturally came as a shock to all of us. He’s an incredibly important member of our squad. In Ola John though, we’ve been fortunate to pick up a very fast player who, like Maxi, loves to burst forward into the final third. We’re delighted to have added a few new alternatives into our squad. There’s no doubt they’ll both help us. Calhanoglu: Of course, that will be a huge challenge for us because Schalke have a really strong side, but we’re well aware of our own strengths. Ultimately we simply want to pick up three points on home soil. bundesliga.com: On a personal note, what targets have you set yourself for the second half of the season? Calhanoglu: I want to present myself much better than I did in the first half of the season. That applies to all areas of my game, but I’m a team player. At the end of the day it’s only our collective success that counts, not personal statistics.